You can easily create a contact page by creating a static content page and insert a jetpack Contact Form. Before doing this, make sure you have installed and activated the jetpack plugin and you have activated the Contact Form module. 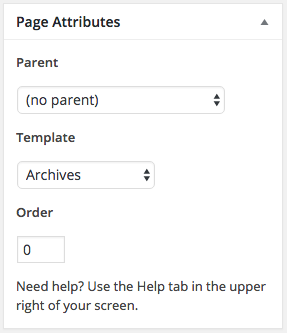 In order to create such a page, create a new static page, give it a name (eg Archives) and from the Page Attributes panel on the right please select the "Archives" template. Hit save and you should be good to go.